Ann Nutter is a registered Suzuki violin teacher and has been teaching in Butler Co. PA for the past 13 yearss. Her students have performed locally in recitals at Lazier’s, BottleBrush Art Gallery, Sherwood Oaks, Passavant recital halls, various churches and outdoor venues. 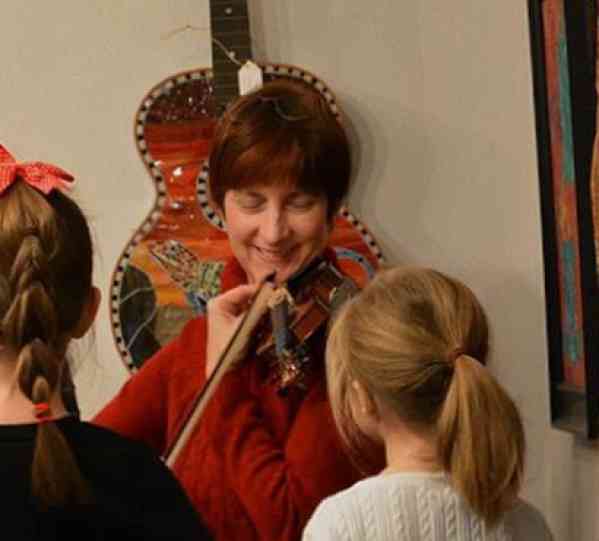 This year they will also be performing at the Butler Art Museum in Youngstown, OH and The Strand Theater in Zelienople PA. She is a member of the Suzuki Association of America, American String Teachers Association and Youngstown Music Teacher’s Association. Ann started piano at age 6 and violin at age 8. During school years in Northern California, she played in youth orchestras, school orchestras, local chamber groups and recitals. In college she majored in music and studied with Anne Crowden (Calif State University Sonoma) then Delight Malitsky (IUP). She played with the Santa Rosa Symphony, Baroque Sinfonia, Johnstown Symphony, IUP Chamber Orchestra, and more recently with Pittsburgh Philharmonic, Dana Symphony (YSU) and Dana Chamber Orchestra.